On 24th October 2016 the Smithfield operation of Kentas of London Limited became part of the business of James Burden Limited. 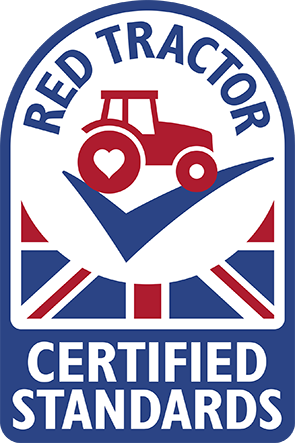 This is a natural extension of both product and customer profile for James Burden, and extends the range of Delicatessen and Provisions we supply into catering and retail businesses throughout London and the South. Kentas of London Limited will continue to trade from their Luton base, focussing on their business in the Midlands and East of the country, and from 24th October the business at Shop 41 West Market Building, Smithfield, transferred to James Burden. The staff working in the business at Smithfield remain unchanged, and customers will continue to receive deliveries in the usual way from the fleet of James Burden delivery vehicles. 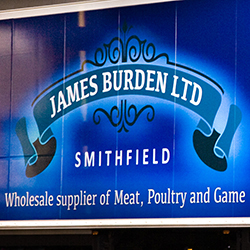 Established on Smithfield in 1974, James Burden Limited is the largest trader on Smithfield Markets with six outlets serving a full range of meats, poultry, game, provisions and delicatessen supplies. Part of The Burden Group, which includes direct-to-consumer meat distributor meatnoveg.co.uk alongside south-coast based cruise liner and commercial shipping supplier Cavendish Ships Stores, James Burden Limited has experienced steady growth in recent years and anticipates continued growth despite the current challenging exchange rate fluctuations.